Gelatin-silver print | 30 × 50 cm / passepartout 50 × 70 cm | Edition of 20 +2 e.a. 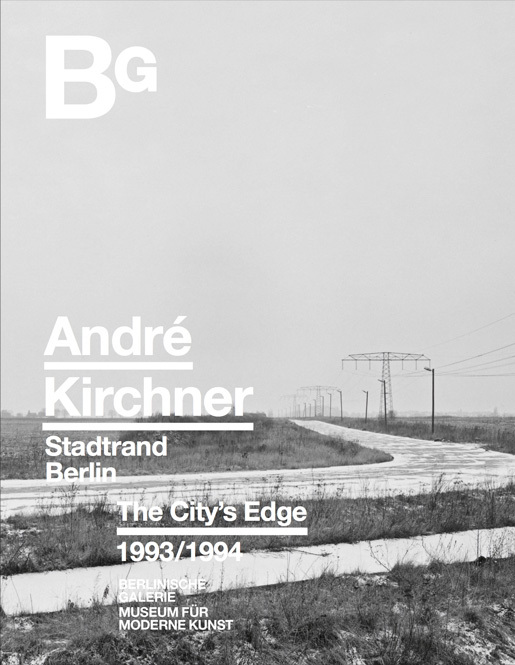 To mark the 30th anniversary of the fall of the Berlin Wall, this book premieres the series “Stadtrand Berlin” (Berlin: The City’s Edge) by André Kirchner (*1958), acclaimed Berlin documentary photographer who took the pictures of the then reunited city along its historical border between 1993 and 1994. Kirchner chose a perspective looking inwards on the city from outside. The geographical starting-point was the former border crossing at Drewitz. Moving anti-clockwise, within a year he reached Glienicker Brücke, a bridge on the other side of Potsdam. The 60 single exposures construct a view of the periphery of Greater Berlin within the 234-km boundary defined in 1920, when other parishes were absorbed into the city, which corresponds roughly to its current footprint. The documentary series features not only relics of the Berlin Wall but also farmsteads indicating a rural lifestyle, long avenues, factory ruins left behind by advancing 20th-century industrialisation, and modern-day satellite communities. Kirchner’s quiet panoramas subtly expose traces of 100 years of urban history in a last moment of silence before the rapid post-reunification developments would change these places forever.